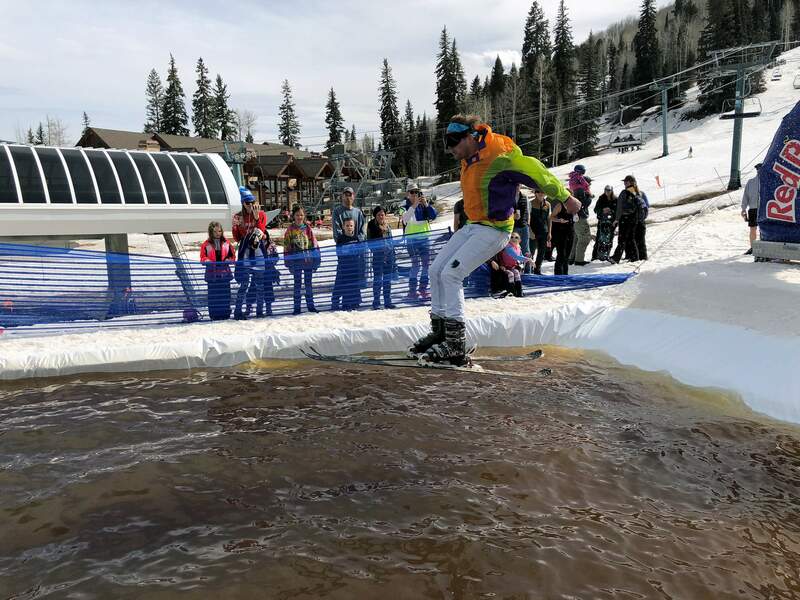 Thousands lined the gates around the pool created for the Purgatory Resort pond skim Saturday. 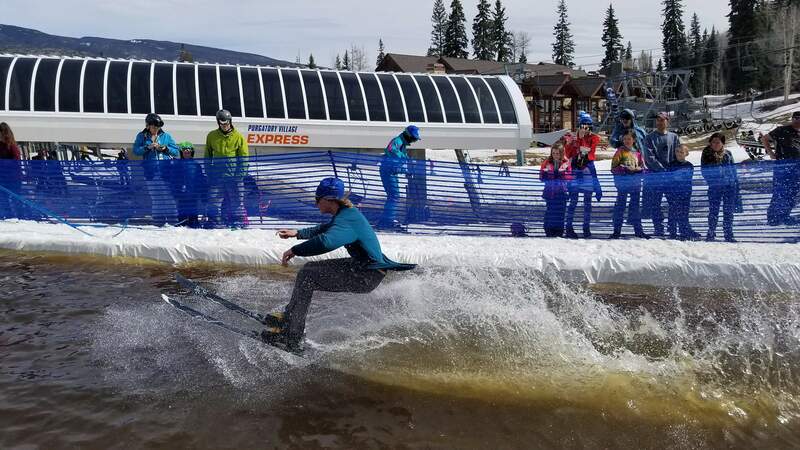 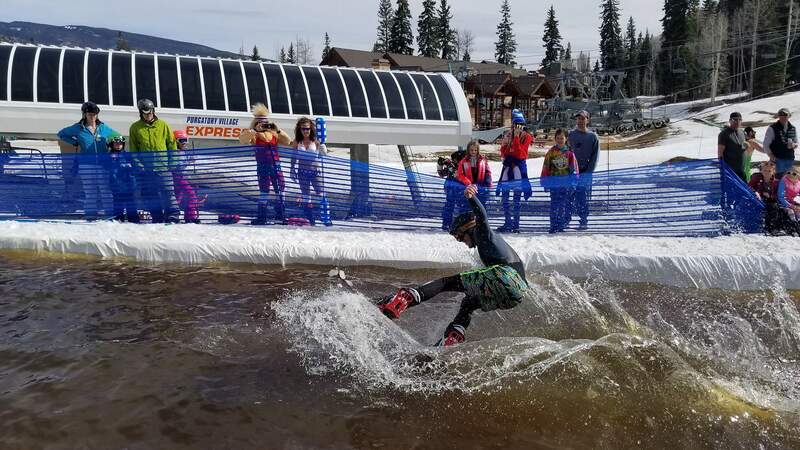 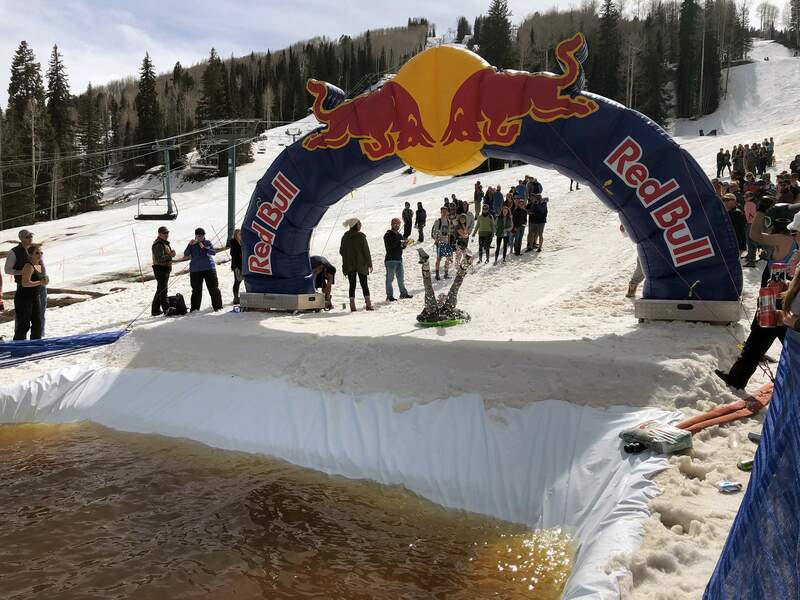 Costumed thrill seekers, skiers, snowboarders and even a snowbikers attempted to conquer the pond that was even bigger in 2018 for the second year of the spring skiing event. 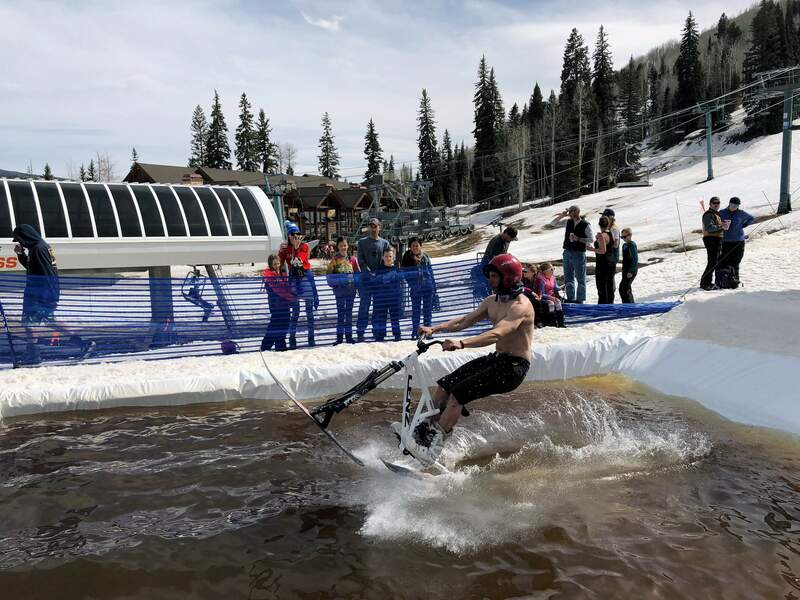 Bayfield snowboarder Silas Hatch was the crowned the pond skim winner, while heroic mono-skier Rosa Malloy-Post took second for her one-of-a-kind effort. 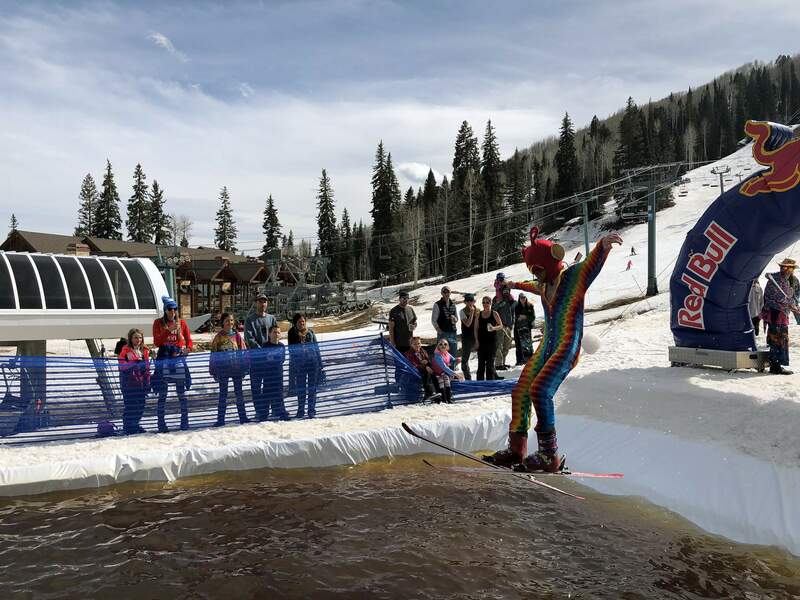 Aeromyth, the world’s best Aerosmith tribute band, then took the stage to cap off the biggest and best celebration at Purgatory Resort in years. 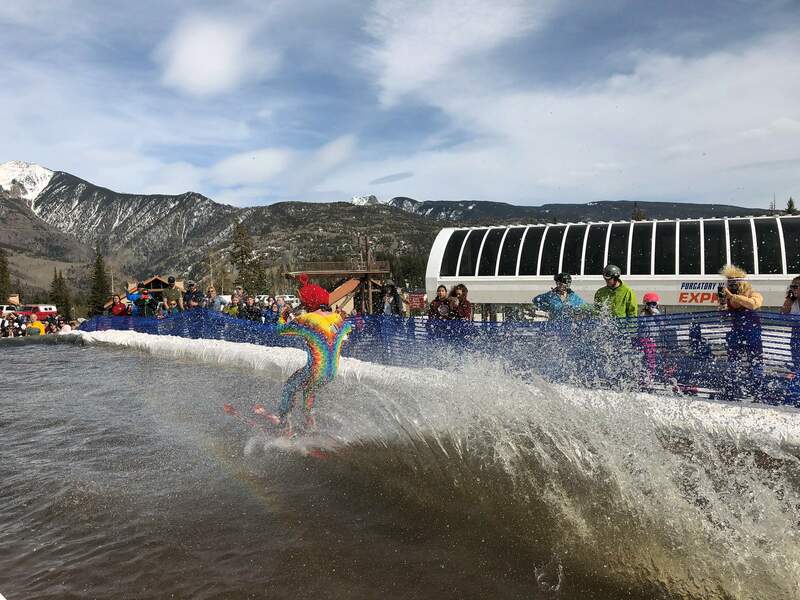 Purgatory Resort pond skim 2018.